This story is part of our live coverage of the inaugural Arrell Food Summit (May 22 to 24). The summit gathers some of the world’s eminent thinkers to discuss the future of food and agriculture. Canada wastes about $31 billion worth of food a year. Half of that is in the home. Recently, after decades of shoulder-shrugging, solving this problem has become a topic of public discussion. But while the panelists who took part in “Thinking Outside the Bin: Challenging Food Waste Orthodoxies,” believe it’s great that more people are talking about a broad socioeconomic problem, they categorize the dialogue as simplistic, and the need for simple solutions as the wrong direction. 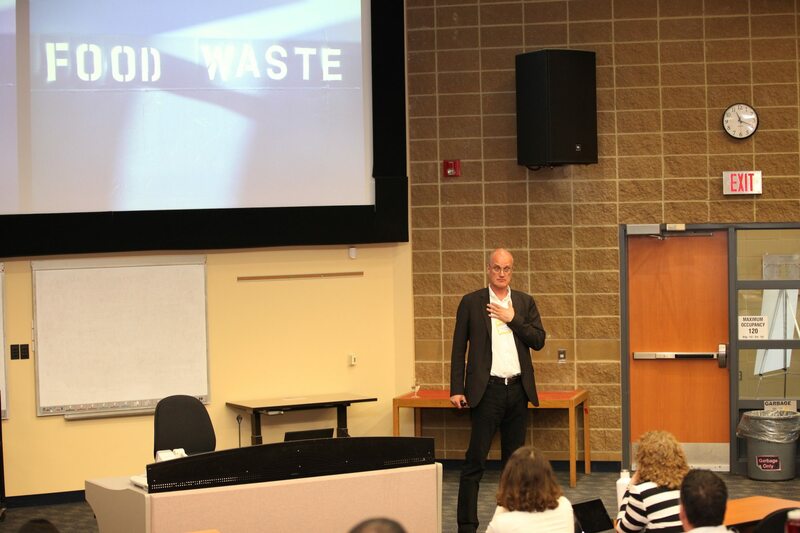 “We are building policy without a fundamental understanding of what we’re wasting, or how we’re using our resources,” argued Mike von Massow, associate professor, Department of Food, Agricultural and Resource Economics, University of Guelph. There is too much focus on food waste diversion, the panelists agreed, and not enough on prevention. Lori Nikkel, director of programs for Second Harvest, a charity that charity redistributes 9 million pounds of food every year in the Greater Toronto Area, receives bananas all the time because a major retailer will not accept them if they are off by one degree in temperature. Consumers and industry are complicit in our wastefulness, like “best-before” dates, which don’t have anything to do with food safety (outside of baby formula).